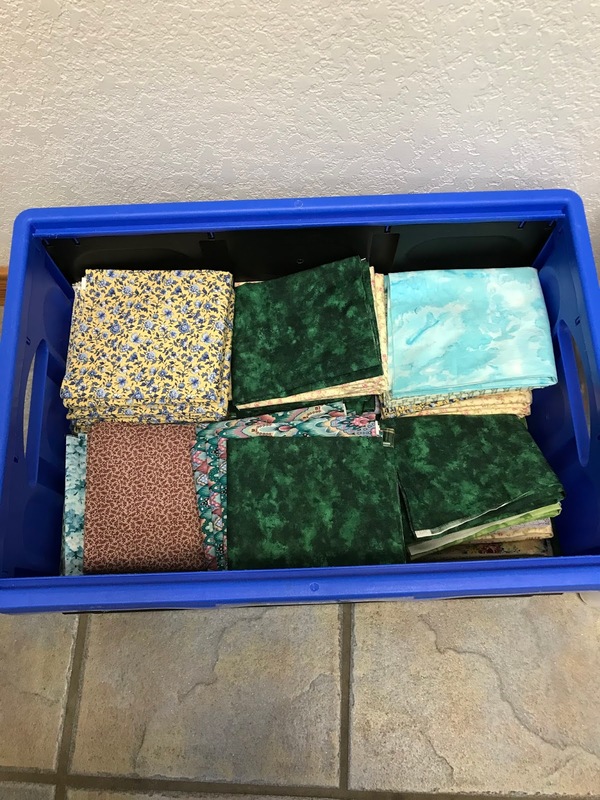 The anti-ouch pouch project coordinator for our local guild recently asked for help in taking “raw” fabric and turning it into kits for the membership. My Tuesday friends and I volunteered to help in this effort. It’s fortunate that this is being tackled on a team basis. We received four filled-to-the-rim tubs of fabric which had to be ironed, cut, and folded. The first tub yielded 121 kits. Each kit requires just under one-half yard of fabric. That's a lot of fabric processed and we're only one-fourth of the way through. That project has really cut into my machine time, but I did manage to empty a cone of thread, and then stitched two more red and white blocks. Unfortunately, I discovered one of the blocks I made last week has the color layout wrong. I’ve set it aside until I’m ready to re-do it. After last week’s marvelous spring-like weather, we’ve had a cool down. 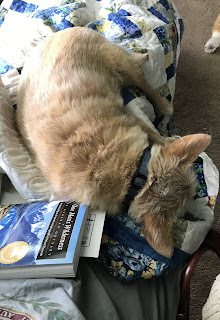 It’s certainly not the ordeal being faced by many, just cold, damp, and dreary days that beg for an afternoon nap. Maddie doesn’t mind, though. More nap time just means more lap time. To my great joy my husband and I returned to the Texas Hill Country in 2006 following my retirement. I quickly rediscovered how much I love to quilt. Since then, with the support of a very patient husband and many quilting friends, I have been trying to make up for lost time. 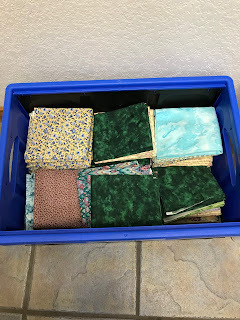 The purpose of this blog is to record my quilting journey and connect with others who love this craft.